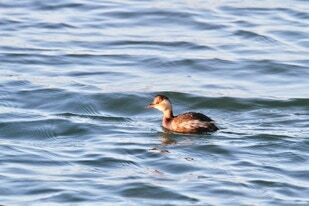 The Grebe is a water bird noted for its elaborate mating display. They are 46 to 51cm long and have a wingspan of 23 to 29cm and they weigh in at 0.9 to 1.5kg. 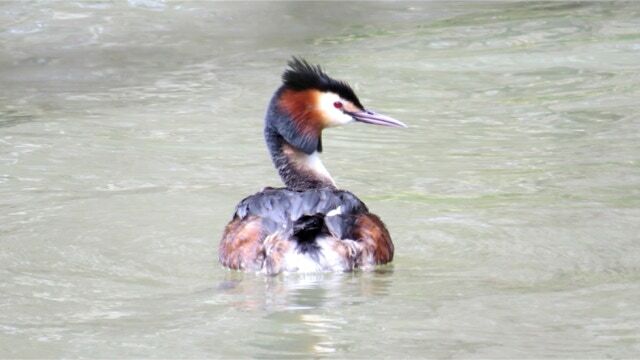 The females lay 2 eggs and the young grebe’s are carried on the adults back. They eat crustaceans, insects, frogs and newts. Women in the 19th century liked their hats to be decorated with the feathers of these lovely birds and they were almost hunted to extinction.